1831), Alfred Wallace (in 1855 & 1858) and Charles Darwin (between 1837 & 1859) all discovered Natural Selection independently of anyone else and independently of one another. Click on the link below – to listen to an interview on what we might make of the newly discovered evidence that naturalists known to Darwin and Wallace DID in fact – contrary to prior history of biology and scientific discovery ‘knowledge beliefs’ – read Patrick Matthew’s prior published hypothesis of Natural Selection – and then went on to play major roles at the epicenter of influence on the pre 1858 published ideas of both Darwin and Wallace. 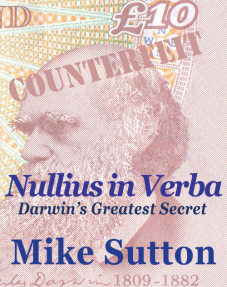 My own conclusion that Darwin committed the World’s greatest science fraud is based on a wealth of further new evidence, which includes but is by no means limited to my further unique Big Data facilitated discoveries that Darwin told six audacious and independently verifiable lies to achieve primacy over Matthew, plagiarized his 1831 text, lobbied hard, but unsuccessfully to have the rules of of scientific priority changed so that better known scholars such as he would have priority over lesser known first discoverers if they worked out more of the details of the importance of that prior-discovery and had many years earlier engaged in unethical semi-fraudulent vainglorious misappropriation of the little-known discoveries of others. Ultimately, it matters not one jot what I think the newly discovered data adds up to. What matters is what, dear reader and listener, you think the new data means. Is it now more likely than not that Matthew did – in some way – influence Darwin and Wallace by ‘knowledge contamination’? If like me you do think so, then surely it does not now matter that Darwin found a host of confirming evidence for Matthew’s prior published hypothesis. Because it is, currently at least, a scientific fact that no amount of confirmatory evidence finding can transmute a prior discovery into your own.